Eve was what we would call a 'goodie goodie', living in the midst of the great gangster town of St.Paul. She had witnessed a murder and longs to get out of this town of bootleggers and criminals. They move to Mercy OH, along the Little Miami River to stay with her father's brother Uncle Cy and help with the lodge that he runs. The town is small, quaint, and free of crime.. or at least Eve believes it. 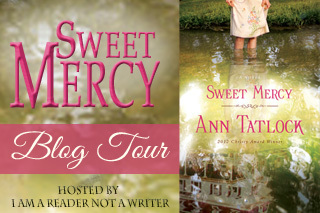 When she learns that the small town of Mercy is overrun with crime just as other parts of the world, her self righteousness shows through. She is condemning to those she meets and is quick to judge, including Uncle Cy's stepson, Jones. This is a great novel of self discovery as Eve becomes a young woman, and realizes life around her isn't what she dreams it will be. God however can work things for good and Eve must learn to rely more heavily on Him. 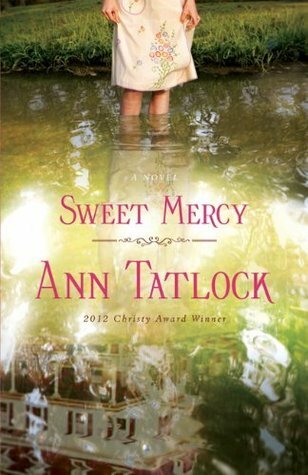 Ann Tatlock is the author of the Christy-Award winning novel Promises to Keep. She has also won the Midwest Independent Publishers Association “Book of the Year” in fiction for both All the Way Home and I’ll Watch the Moon. Her novel Things We Once Held Dear received a starred review from Library Journal and Publishers Weekly calls her “one of Christian fiction’s better wordsmiths, and her lovely prose reminds readers why it is a joy to savor her stories.” Ann lives with her husband and daughter in Asheville, North Carolina.